Being a very busy family, we do an enormous amount of our shopping on Amazon. I have been perusing daily recently to get ready for the fall season that is getting close here in Colorado. We actually have a few of our Cottonwood trees starting to shed a few leaves. It makes me sad a bit, but I love the changing of the seasons! 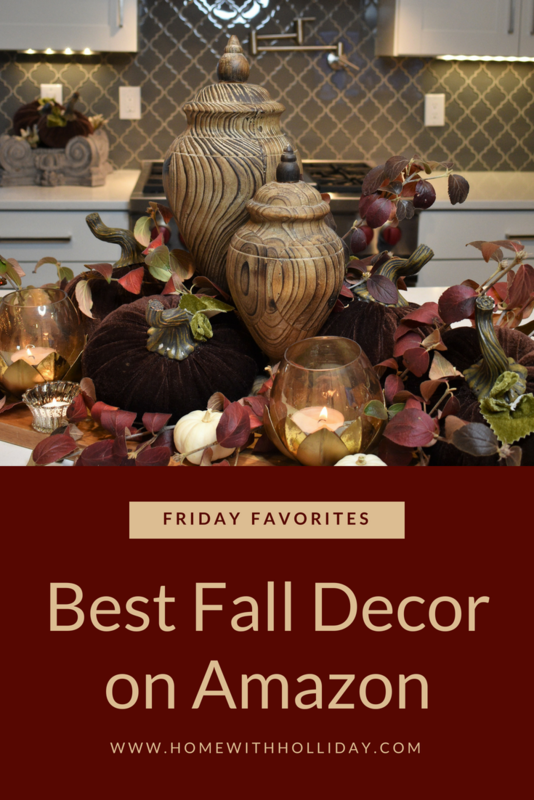 Since I have been binge shopping for fall decor, I thought I would share my favorites of the Best Fall Decor on Amazon. I started my Friday Favorites series a while ago and I thought this certainly fits in with that concept. Because I have had so much fun pulling this together for you, I am going to share my favorites on Amazon for creating fall table settings next week. Last year, I designed this fall vignette for my 16-foot island. So much of what I used here, I bought from Amazon (the fall leaves actually came from my yard though). As I mentioned, I am busily planning my fall and Thanksgiving decor for this year. I am going with a very neutral palate that can easily transition into the Christmas season. There are so many products shown here that I will also use for my Christmas decor. With that being said, these are my favorite items available now on Amazon for fall decor. Needless to say, I spent hours and hours compiling this post, so hopefully, there is something that speaks to you for your own decor. I am all about sharing my favorite finds with my friends!! How you decorate the area around your front door sets the tone and first impression of your home and style. It should reflect the overall feel and design of your interior. Since I am designing with a neutral palate this year, these are my favorite wreaths that can be used for a variety of styles. Any of these can be accented with the ribbon of the color of your choice or you could just add in some simple fall picks to transition them to your own theme. The nice thing about having a neutral wreath is that you can change it up each year as your tastes or colors change. If you are creating a vignette for fall, it is a good idea to start with a foundation to feature your decor. To me, fall and autumn feel casual, rustic and warm. This is why I recommend using materials like galvanized metals and natural woods and these are my favorites. The pumpkin is an iconic element of fall decor and typically is the main feature of most designs. They are used as accents in centerpieces, vignettes, table settings or in other areas of your house inside and out. If you don’t want to keep fresh flowers in your decor that will be around for a while, these faux arrangements and accents are perfect for creating the look you want. Other elements that I love using for fall decor are birch logs and fall-themed candle holders. These can be used as the main anchor for any design or as an accent. If you are anything like me, I am obsessed with votive candle holders because they add so much warmth and texture to any vignette or tablescape. Hopefully, you enjoyed this compilation of the Best Fall Decor on Amazon. Surely, there is something you found here that inspires you for designing your own fall decor. Happy Friday and happy shopping my friends! Thanksgiving will be here in no time!! Crazy…right?! I would love to hear what your favorites are here?! WOW! Thank you, Julie, for your super kind words!! I am so glad you liked it! Love your beautiful items! However, where did the gorgeous wooden jars come from? Love, love them! I can’t believe I didn’t include the link to them in my post!! They are from Uttermost. I included a link to them in this post…https://homewithholliday.com/2018/08/12/creative-ideas-for-fall-or-thanksgiving-table-settings-and-home-decor/. If this link does not work, just go to my blog and click on the post “Creative Ideas for Fall or Thanksgiving Table Settings”. They are at the bottom of that post. 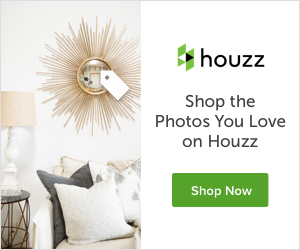 You can purchase them on Houzz or Amazon. Thank you so much for stopping by! Thank you for the shopping info on the Uttermost jars. I just placed my order and can’t wait to get them! Thanks Again!